Versatile + chic, the Maywood Totepack converts from tote to backpack seamlessly. 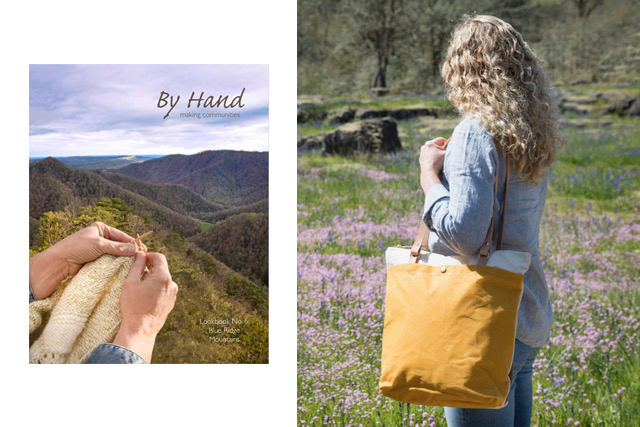 Designed for around town adventures and rambling outdoors with "I made this!" bragging rights. Some sewing experience is required. Lucky you! Students get wholesale pricing on extra Maywood Maker Kits purchased in class- with a 40% discount! Continue building your skills by making another tote for a friend, because you know they'll want one;) Discount given on day of class only. Find out more about the class experience here.